welcome to the 12 Days of Christmas 2016! Today is a bonus day and I am featuring a shaker card that is a little bit easier than the last one I made. 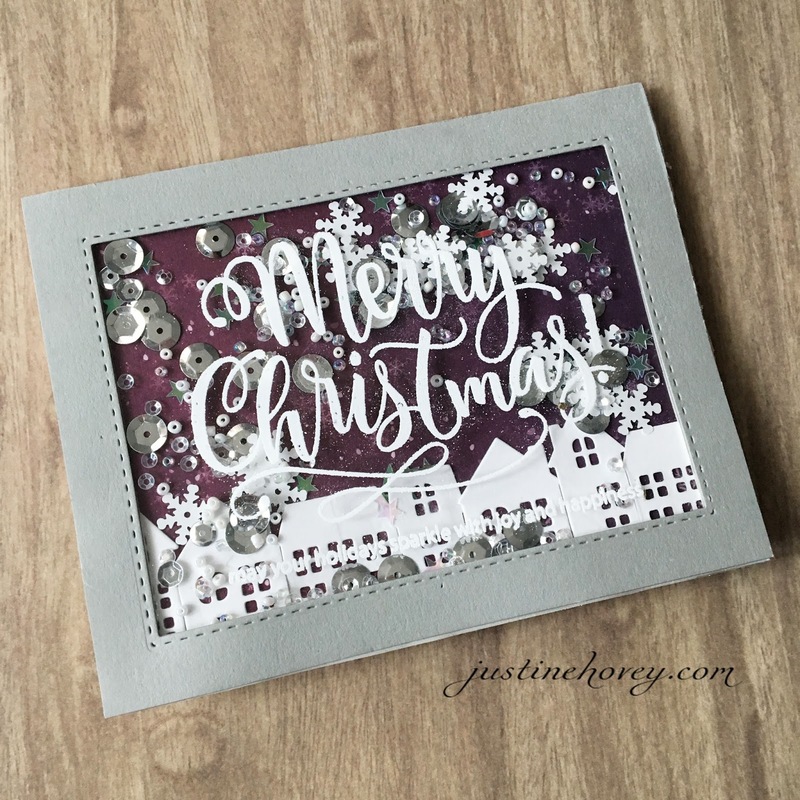 I am also showing you how you can emboss on top of acetate which makes for gorgeous shaker cards! Don't forget, if you're dying for more videos right away, you can refresh your memories with the 2015 and 2014 series or the other videos for the series that I have published so far in 2016. To begin, I die cut the frame of my shaker using Simon Says Stamp Stitched Rectangle Dies. Then I die cut the Home Collection from Mama Elephant twice. Then I took some heat resistant acetate, stamped the sentiment using Merry Christmas Wishes in Versamark Ink and heated it up. 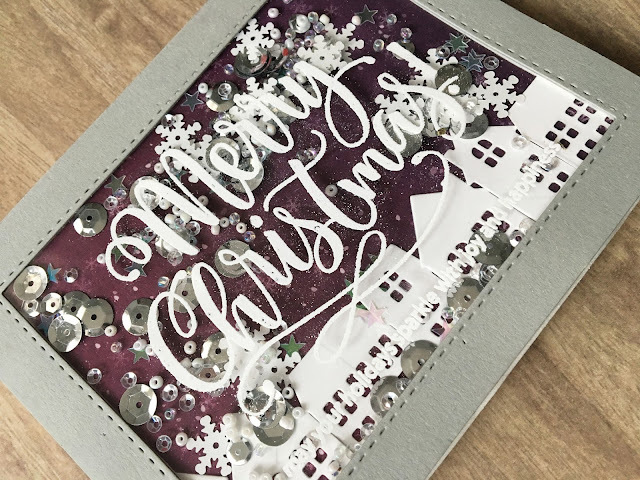 I grabbed a card base, added some patterned paper (retired) to it, plopped a whack of sequins and beads in the middle (see supply list below) and covered it with the frame with 3D foam tape. Very pretty shaker. Love the silver. Oh wow! Your card is absolutely stunning!! !